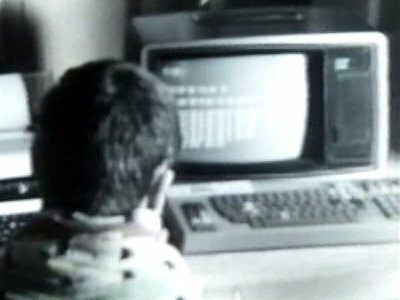 Despite its name, the Compucolor II was the first colour home computer launched in 1977. The graphics were controlled by built-in commands in the BASIC language that was essentially pirated Microsoft BASIC. 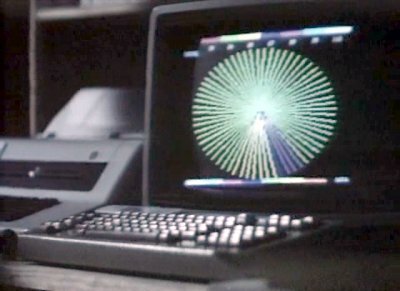 The Compucolor II appears as part of the I-500 computer system. Most of the things the I-500 is capable of doing are beyond any computer, let alone the Compucolor II, but it does look like a graphics were generated using the machine.